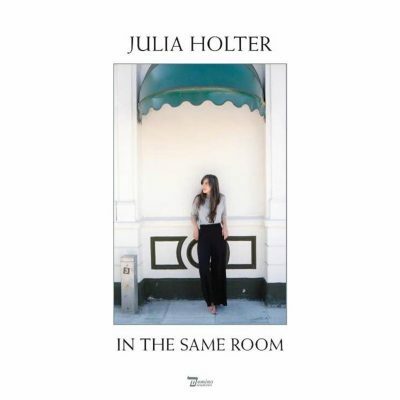 In The Same Room is an 11-track, live album by L.A.-based artist Julia Holter and her bandmates Devin Hoff, Dina Maccabee and Corey Fogel at RAK studios over the course of two days. This is Holter’s fifth album, although In The Same Room features live versions of songs from previous albums throughout Holter’s career, like Have You In My Wilderness, Loud City Song and Tragedy. The album is titled after the song “In The Same Room,” from Holter’s 2012 album, Ekstasis, but actually doesn’t feature the song “In The Same Room,” or any song from Ekstasis. In The Same Room neatly repackages Holter’s career into a single, beautiful album. In The Same Room incorporates classical, indie and baroque, and differs from Holter’s more electronic-styled music. While part of the difference in sound can attributed to the nature of a live-recorded track, for the most part, these versions of the songs aren’t much different—while there are a few stylistic differences, Holter and the band do a great job a translating the recorded version into live version. Some songs, however, like the opening track, “Horns Surrounding Me,” are notably different from their original version. In place of upbeat electronic harmonies, Holter significantly slows the pace, trading the lo-fi for high fidelity, piano and strings. By re-structuring the rhythm and bringing more focus to her vocals, which teeter between piercing and crooning, the song becomes a haunting and dramatic arrangement, displaying Holter’s talent into taking on a track to make it sound entirely new. Whether songs are similar or different from their original versions, there are no overwhelming sound effects, but rather a focus on establishing layered and dramatic, multi-instrumental depth. The refreshing instrumental variation is graced by the harpsichord, with drumming, light percussions and Holter’s icy vocals. Each song exudes a sense of simplicity and rawness, yet resonance. Holter’s voice is the staple of each track, completing the elegance that begins with soft, drawn-out instrumentals, which lead into powerful strikes on the keys and quicker plucking and bowing on the strings on tracks like “City Appearing.” Her voice is simultaneously powerful and fragile, accompanied by quick, sharp, wild moments on the strings, which seem to simulate the electronic portions of songs on tracks like “So Lillies.” On tracks like “Betsy On The Roof,” Holter easily ranges from low to high notes with softness and ease. While Holter’s lyrics make literary references, Holter is quite funny in her music videos, lightening the otherwise serious tone of her lyrics. For example, “Feel You,” from Have You In My Wilderness, is a four-minute video, featuring her dog. While seemingly profound, philosophical and poetic lyrics, I don’t think Holter takes herself too seriously.